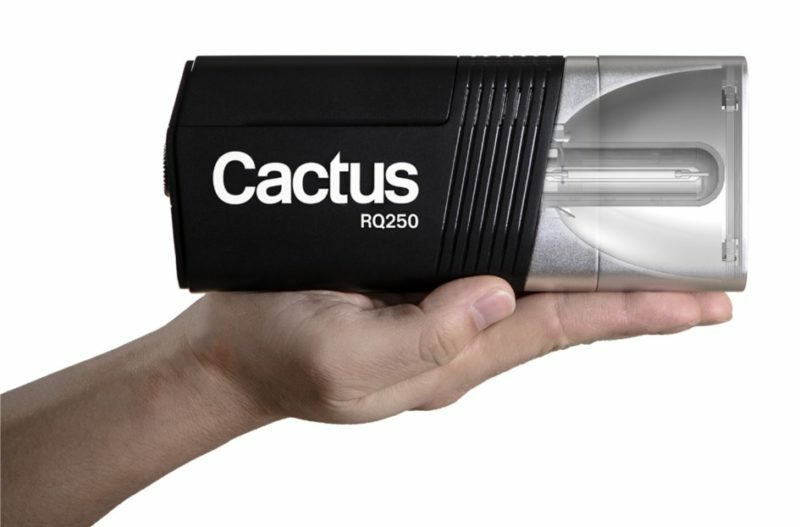 Cactus Image, the Hong Kong manufacturer best known for its radio triggers, has started a Kickstarter campaign for its RQ250 portable flashgun concept. The device, plans for which were announced about six months ago, is designed to be compact, easy to use and versatile, with a magnetic accessory system, lithium-ion batteries and built-in wireless control compatible with the V6 II cross-TTL triggering system, compatible with no fewer than eight different camera brands. The market for portable, powerful small flashes grows ever more competitive, and the RQ250, if it meets its goals, will be going up against such rivals as the SMDV BRiHT-360, the Godox Witstro AD200 and the Profoto A1, among others. It will have a manufacturer suggested retail price of US$699, but cheaper (up to 25% off) if you back the Kickstarter campaign early. The company hopes to raise HK$780,000 (€86,000; US$100,000) by 5 September 2018. Visit the campaign page for more information. Other crowdfunding campaigns for flashes include the successful FlashQ Q20, and various less successful projects.